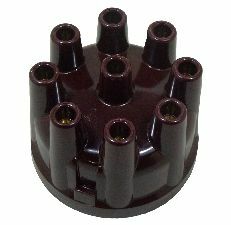 Showing 1 - 6 of 6 Products for Distributor Cap and Rotor Kit. 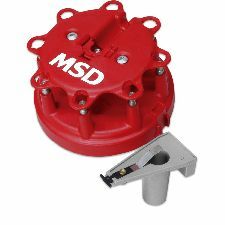 Taylor Distributor Caps and Rotors are injection molded with the highest quality materials and manufacturing process available. Designed to deliver high performance and long life. 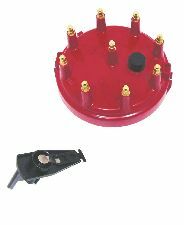 Caps and Rotors are made from an alkyd molding compound that provides superior protection from cross firing and arcing. 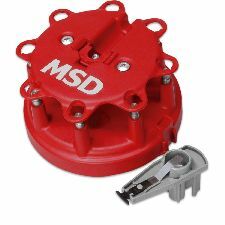 These molded caps are stress-relieved after molding to ensure dimensional integrity. 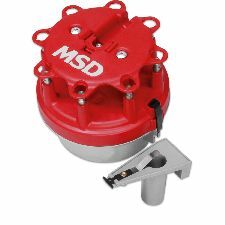 The corrosion resistant brass contacts and steel rotor springs provide high conductivity and unrestricted energy flow for hotter spark.